FREE $5 Off $5 Purchase At Kmart & Sears! You are here: Home / FREEbies / FREE $5 Off $5 Purchase At Kmart & Sears! 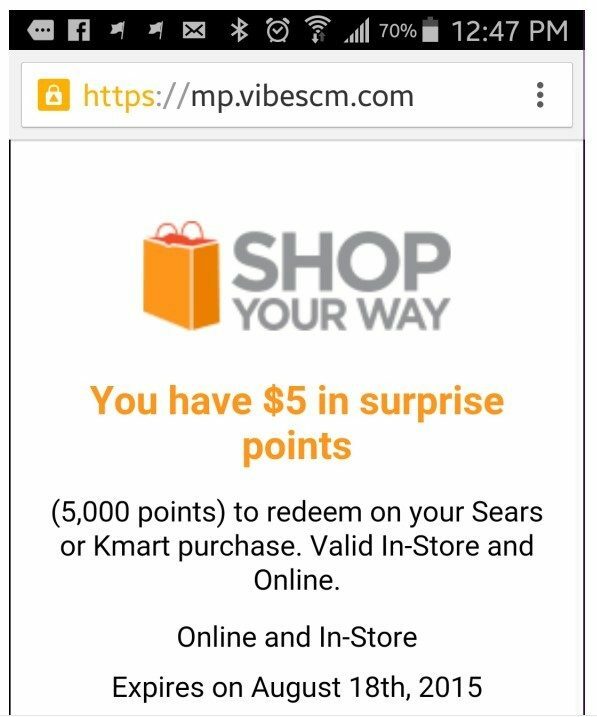 You can get a FREE $5 off $5 offer for Sears or Kmart! You can become a Shop Your Way Rewards member for :fr:, too! Receive your $5 off $5 offer!